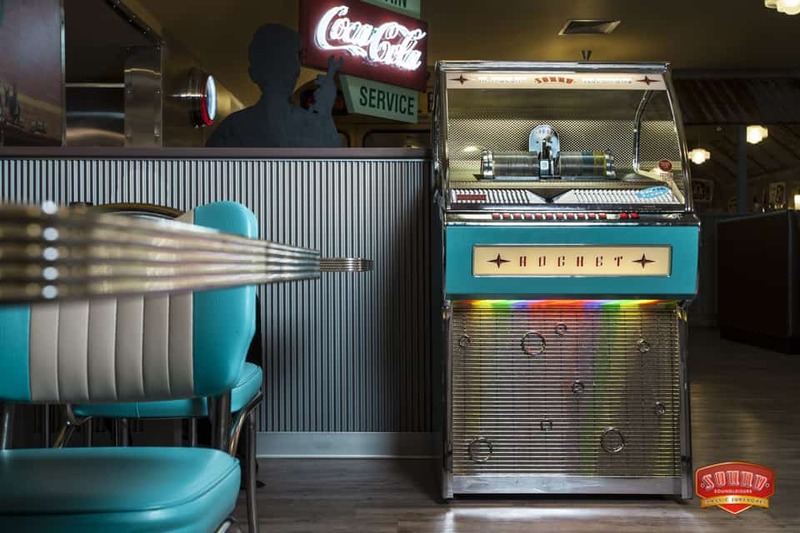 From genuine classics to modern marvels, nothing keeps your customers engaged with the tunes like a jukebox. We’ve been supplying jukeboxes across Greater Manchester since before the CD existed and jukes continues to be a major part of the ethos of the Masons brand – Music for the people, chosen by the people! We’re Manchester’s original jukebox company and we’ve our machines are in some of the most iconic and recognisable venues in the city. Whether you want old-school with a classic replica, total content control with a CD jukebox, or to go high tech with an all-singing, all-dancing digital touchscreen audio or video juke, we’ve got plenty of options to suit your venue.